I have a confession to make. I am a big fan of PC gaming. Ok, that's not too controversial, but let me take this a step further. I am a big fan of PC gaming...with a controller. For all too long, the controller has been a second-class citizen in PC-land, with the mouse and keyboard reigning supreme. 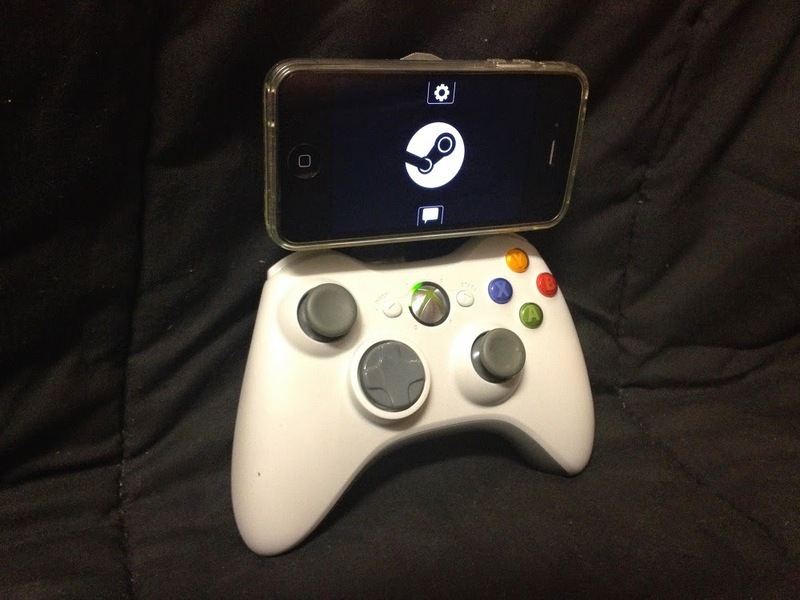 This is why I was so excited when I heard news of the Steam controller that Valve is developing. For those of you that don't know, this is a controller, currently under development, which is designed from the ground-up to work well with PC games, even those that traditionally could only be played with a keyboard and mouse. The initial prototypes of the controller were impressive. 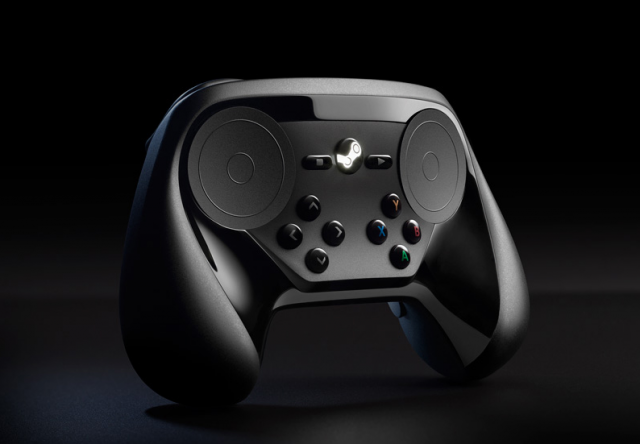 Obviously the dual trackpads are integral, but the part that excited me the most was the touch screen display at the center of the controller. This touch screen was to be a multi-purpose input/output mechanism for games to utilize for auxiliary tasks or just as "soft buttons". There are so many possibilities for a mechanism like this. 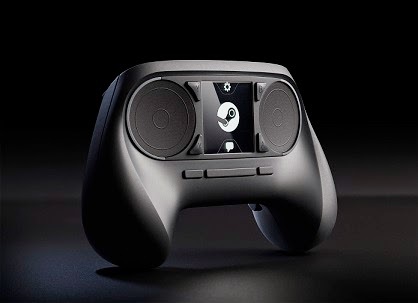 To my disappointment, a few months ago Valve announced that the touch screen had been dropped from the steam controller design. I'm sure they had good reasons to do this, but as an engineer excited by this concept, I just couldn't let this die. Most of us already have powerful touchscreen devices in our pockets. Rather than design a new controller with a built-in touch-screen, we could leverage the devices that we already have to enable these new types of game interactions. That was my general line of thinking, and it's how Pyroscaphe was born. At its core, Pyroscaphe is a web server that allows you to interact with your gaming machine on a local network from a web-enabled device (like a phone or ipod touch). This server serves web page UIs for a given game and also receives WebSocket requests which lets the player interact with the game in a real-time, low-latency manner. In its current state, Pyroscaphe is mainly useful for sending keypress events to games, so through the UI on your mobile browser, you can essentially press keys on your keyboard. In the future, I would like to make this more of a 2-way interaction, with the touch interface receiving more data about the running game. There have been many articles recently that have declared the mobile web dead...or dieing, with the App being king. However, for this particular application, I believe web-based UIs are best. If something like this is to succeed, it depends heavily on the community generating content in an incremental, and distributed way. This would be very challenging for a traditional mobile app. With an app, we would have to have a central location for UIs to be reviewed and vetted, and they would have to go through the long Apple review process. This process discourages frequent updates and also means that there must be a central authority that spends a lot of time hand-holding the process and vetting these touch UIs. Also, though inter-browser compatibility can be challenging at times, it's not too difficult to write HTML that works across most mobile browsers (as opposed to writing one interface in ObjectiveC, another in Java, etc..). Finally, by using HTML, it greatly reduces the barrier to entry for creating one of these UIs. HTML is a universal language that just about anyone can pick up fairly easily. Like I said previously, if Pyroscaphe is to have any chance to succeed, it must leverage the power of the community. There are just so many talented and creative gamers out there. If someone feels the itch to create a touch UI for their favorite game, I want it to be as easy as possible to do so. As you can see, this HTML is extremely simple. The bootstrapping mechanism is fairly lightweight as well. Pages must pull in "pyroscaphe.js" and initialize Pyroscaphe when the document is loaded. With that in place, pages can use the "data-key" attribute on an element to specify which key they want to press when a given element is touched. In this case, weapons are selected with the number keys, so we bind the pistol image with key "2", shotgun with key "3", etc. Behind the scenes Pyroscaphe uses jQuery to add the appropriate event handlers to send the right WebSocket commands to the server. In this example, Pyroscaphe is bootstrapped just like before. However, we just have a single image on the page with a "data-seq" attribute (as opposed to the "data-key" attribute that the previous page used). As you've surely guessed, this tells Pyroscaphe to send a sequence of key presses to the game when this UI element is touched. These are just 2 examples of very simple UIs that can be created. Again, this is about leveraging the creativity of the gaming community to create these UIs. The easier I can make it to create this content, the more likely it is that someone will do so. Web apps have a bad rap for being slow and unresponsive, at least compared to native applications. However, Pyroscaphe has several things going for it on this front. It's designed to be used in a local network, so very few hops are required to get from client to server. This also means interaction is more deterministic since we're not just sending data out into "the cloud", it's only going out on a small, controlled network. 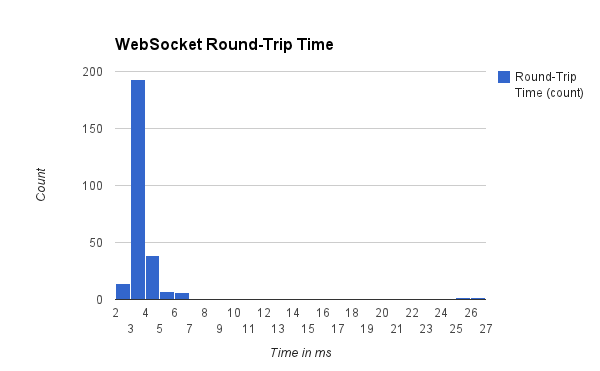 We're also using WebSockets for all time-critical game interactions. This means we don't have to deal with the overhead of creating a new socket connection for each server call (which itself involves a few round-trips). We also don't have to deal with the overhead of the HTTP protocol. As such Pyroscaphe has a very simple bare-bones command protocol that keeps performance snappy. To validate that the latency wasn't too bad, I wrote a fairly simple test. By round-trip time, I mean that this is the time it took for the UI to send a command to the server and for the server to send a simple response back. So in reality, the lag between interacting with the touch UI and seeing a key press is roughly half of this time. As you can see, in my tests the vast majority of calls had a round-trip time of 3-4 ms, which is more than sufficient for most game applications (and in-line with standard wireless controller latency). A secondary benefit of using a single WebSocket (as opposed to many web-service calls with their own sockets) is that the data is serialized and we don't have to worry about data arriving at the server in a non-deterministic order. Won't the mobile web browser UI get in the way? This can happen with some browsers. I personally recommend using browsers that have a good fullscreen mode (like Atomic Web Browser Lite). A touch screen on the controller diverts attention away from the action on-screen. Won't that hurt the overall experience? Touch screens are probably not the best input mechanism for really fast-paced action games. However, there are a large number of games out there that don't require absolute non-blinking focus. Those are the games that Pyroscaphe is intended for. Can Pyroscaphe UIs send xbox 360 controller (XInput) button presses? Not at the moment. Currently, you have to use a program like Joy2Key to have your controller send key presses (and configure your game for keyboard input). I would certainly like to get this working at some point. However, I couldn't find an easy way to do this. I could probably create a driver for this purpose (I personally work a lot with drivers by trade), but that's more trouble than I wanted to go through for the initial 0.1 version of Pyroscaphe. Why are your demo UIs so ugly? Sorry, UI design isn't my strength. I'd be thrilled if someone wanted to help make these demos look better (or create new UIs). So this can only send keypresses to a game? So what. It's not much right now, but I would like this to be the start of something better. It's much easier to get keypresses to a game than to get data from a game (like showing an interactive map with your current location). I suspect that doing the latter will require some game modding which isn't something I've done before. Again, any help is welcomed. There are a lot of possibilities for Pyroscaphe in the future. Here are a few ideas I've had. Auto-detect the game that has been launched and instruct the touch-screen to change UIs. Detect key bindings or otherwise make it easier for users to map a given touch UI to their key bindings. It's not much right now, but my hope is that if there are others like me out there, Pyroscaphe might gain some momentum and eventually lead to some really interesting and engaging gaming experiences. Pyroscaphe's code is open source and freely available on GitHub.